Idea has launched its 4G services in Patna today, and will rapidly expand 4G network to cover 18 towns by June 2017.Idea Cellular will cover 18 towns including the major cities of Ranchi, Patna, Gaya, Sasaram, Motihari, Dhanbad, Bokaro by June ‘17. Idea also unveiled Digital Idea, a suite of digital applications for the on-the-move consumers of Patna. As part of the Digital Idea offerings, the company will offer a suite of 3 entertainment apps – Idea Music Lounge, Idea Movie Club and Idea Game Spark for its over 1.25 crore customers in Bihar and Jharkhand circle. 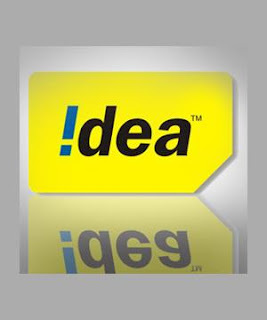 Idea has introduced a range of attractive offers including tariff packs, bundled smartphone offers and digital content for its users in Bihar and Jharkhand. From Upto 1GB 4G offer at Re.1 to handset bonanza offers and smartphone deals, Idea offers a range of products for all category of users. a) Complimentary 4G SIM card upgrade and Special Promotional Offer: All customers can avail a complimentary 4G SIM upgrade from Company Showrooms and leading retail outlets across 4G towns in Bihar and Jharkhand. Customers upgrading to 4G SIM will get promotional 4GB Free Data, valid for 7 days. b) Attractive 4G data tariffs: Idea’s 4G Prepaid & Postpaid tariff plans are priced at par with existing 3G plans. Upto 1GB 4G/3G data for 2 days at Re.1 Dial #01 experience fast internet speed. In addition, Idea has also launched Magic Recharge which offers data from 250 MB up to 1GB for 15 days on recharge of Rs. 65.
a. 4G Handset Bonanza Offer: 4G Smartphone packs exclusively for 4G Handset customers offering double data. These plans which are available in Prepaid - 1GB 4G Data for 28 days on first recharge of Rs. 76 and 2 GB 4G Data for 28 days on first recharge of Rs. 145.
b. Free Data along with Unlimited Calling Packs: These packs provide the customers with unlimited voice calls to anywhere in India along with free data benefits. Upon recharging with Rs. 144, Idea customers will be able to make free Idea-to-Idea calls across India and 4G handset customers may get 2GB 4G Data with validity of 28 days. Another super value pack priced at Rs 346 offers free voice across all networks in India and customers with 4G handsets may get 1GB 4G Data daily for 28 days. Customers need to check these offers *121# before recharging. 3. Unlimited Voice & Data Plans Postpaid consumers: Idea has also introduced two new Ultimate plans at Rs. 499 and Rs. 999 rental for Postpaid users. In Rs. 499 plan customers get Unlimited Local, National and Incoming Roaming calls with 3GB free Data on 4G Handset. The Rs. 999 plan offers Unlimited Local, National & Roaming calls with 8GB free Data on 4G Handsets. For all new and existing customers upgrading to 4G handsets, Idea will provide additional 3GB data on these rental plans, till 31st December ’17. b) Partnerships with leading ecommerce companies: Idea website now offers the ability for customers to upgrade to the latest 4G smartphones and claim exclusive data benefits on select smartphones. Idea is offering an exclusive introductory offer to all Idea 4G/3G customers giving them 90 days Free subscription to all the 3 Apps, till 30th June 2017. 1Idea Music Lounge offers a rich library of nearly 2 million Indian and international music tracks initially, going up to nearly 20 million tracks soon, on Google Play Store and coming soon on iOS store. Idea Music Lounge hosts diverse content not only across 13 Indian languages, including Bollywood, South Indian Cinema etc, but also across International artists, albums and tracks from several major Music labels. Idea customers can stream music for free or download it 24x7. The app also allows customers to create their own music playlist in addition to curated playlists and Radios. Idea Music Lounge comes with a number of leading features such as ‘DJ Mode’ which enables transition of songs similar to DJ effect; ‘Wake Up Mode’ with the consumer’s favorite song, and ‘Dynamic Lyrics’ feature to enable customers to sing along while listening to their favorite tracks and ‘Data Saver mode’. The standard Idea Music Lounge subscription with unlimited downloads in the App is priced at just Rs. 49 for a month, while streaming of unlimited music is free. 2. Idea Movie Club caters to the ever-growing video content needs of consumers, offering thousands of blockbuster movies, Live TV, 7 days catch-up TV, along with a series of Original content and Short Videos across all genres and several languages. The rich content of videos and movies from Bollywood, South Indian & Regional Cinema will appeal to people across all age groups, including kids, for whom there is a host of animation and learning videos. Live and Catch up TV including premium channels, is offered in collaboration with Ditto TV. The app is available on Google Play Store and iOS store. The standard subscription charge to Idea Movie Club App is competitively priced at just Rs. 49 per month for unlimited Movies, Videos and TV streaming. 3 Idea Game Spark is the ultimate gaming destination with a collection of over 1,500 games across all genres. Targeted at the gaming aficionado and the casual gamer, the games can be played both in the online and offline mode. Idea Game Spark can be accessed by all Idea as well as non-Idea users on www.ideagamespark.com. The store features popular gaming content from several leading gaming studios. Idea Game Spark is also the first subscription game store offering the latest and popular, Virtual Reality Games. Once subscribed to the store, the customer can download unlimited games across genres such as Racing, Cricket, Cards, Sports, Bollywood etc. including premium titles like ‘Virat Cricket’, ‘Need for Speed’, and many more. Games are available on monthly subscription basis and the company intends to introduce range of other tariff models such as pay per download and freemium. The store also gives games users access to hundreds of free games. Idea Game Spark monthly subscription charges are very competitively priced at just Rs. 29 per month for unlimited games both online and downloads, for all consumers.